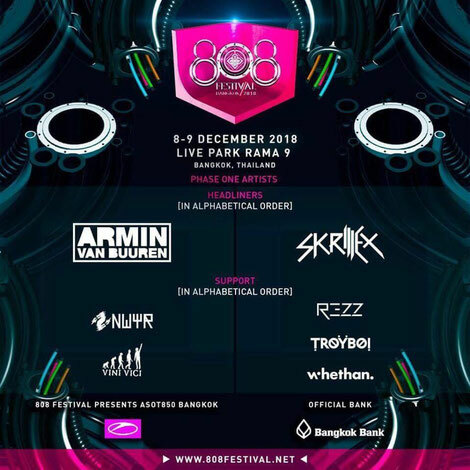 2018's 808 Festival takes place from 8-9 December at Live Park in Bangkok, Thailand and this year it brings the A State of Trance brand to the region for the first time in a few years. Armin van Buuren heads up proceedings on day one of the festival with NWYR and Vini Vici, with Skrillex lining up on day two for his first and only show in South East Asia since his return from hiatus. Also playing are the likes of Thailand first timers REZZ, Troyboi and Whethan. 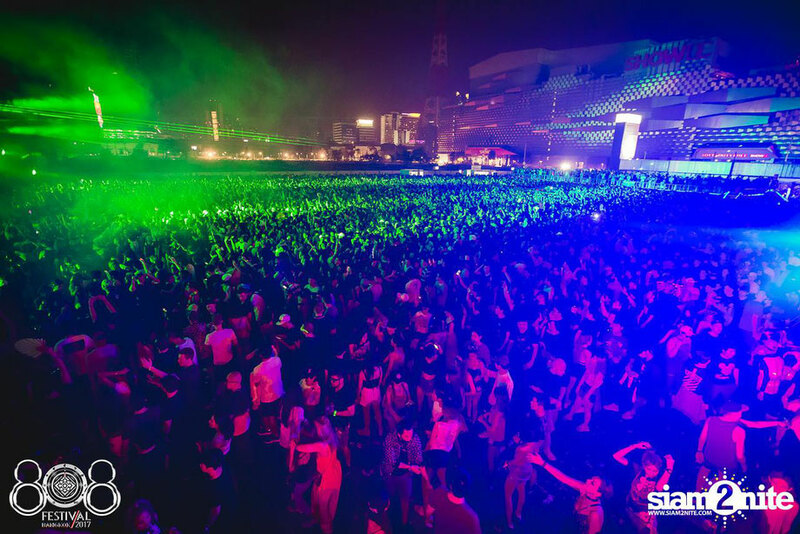 Armin van Buuren is no stranger to 808 Festival having headlined the 2015 edition in Bangkok. What started out as his weekly radio show has turned into a recurring festival and tour around the world. Celebrating the milestones of the radio show, founder Armin will be on hand to play a headline set on day one. Also on the bill on day one will be Vini Vici, who have apparently played all across the States, Asia and Europe with up to 200 shows a year in the dairy. A long list of collaborations also highlights their possible impact on the global electronic music market, with Armin, Dimitri Vegas & Like Mike, Steve Aoki, W&W, KSHMR, Astrix, Timmy Trumpet just some of those. Completing day one's line-up are NWYR aka the Dutch duo W&W who focus on real trance with their NWYR project. On day two it’s the turn of Skrillex. In 2018 he has collaborated with Missy Elliott and Poo Bear and over his career has won eight Grammy Awards and holds the world record for most Grammys won by an Electronic Dance Music artist. He works with labels like mau5tap and Atlantic and runs his own OWSLA. Joining him on day two will be Canadian DJ, REZZ, South East London artist TroiBoy and American Whethan, who gained recognition after his remix of the track ‘XE3’ by Mssingno, which has garnered millions of plays on SoundCloud.